This recipe goes back to our Seattle days and I can’t believe I’ve had this gem of a recipe for so long hidden in an overstuffed binder. 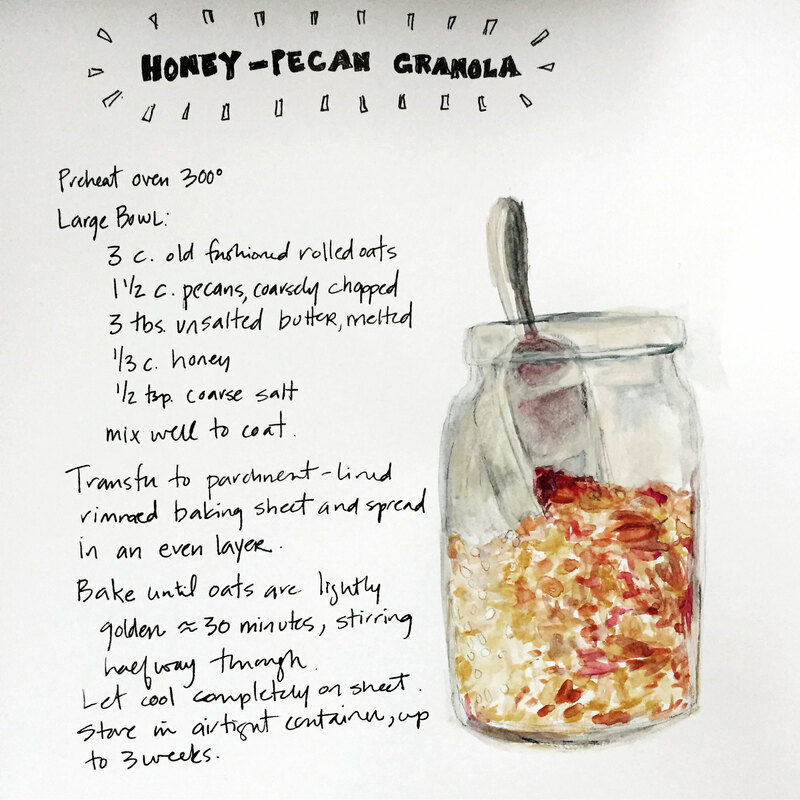 We really liked it and it’s less sugar than my other granola recipe (which I love but I know I’m kidding myself when I say I’m being healthy because I’m eating granola because of the amount of sugar in it). You can add dried fruit to it later if you want. I always eat granola with dried cranberries and fresh apples and unsweetened almond milk. The original recipe came from Everday Food magazine and can be found here. I used local honey that wasn’t orange blossom or whatever is listed. I read a review that said it was too salty. But I actually really liked the salt kick, it really adds to the whole flavor of the granola, in my humble opinion.